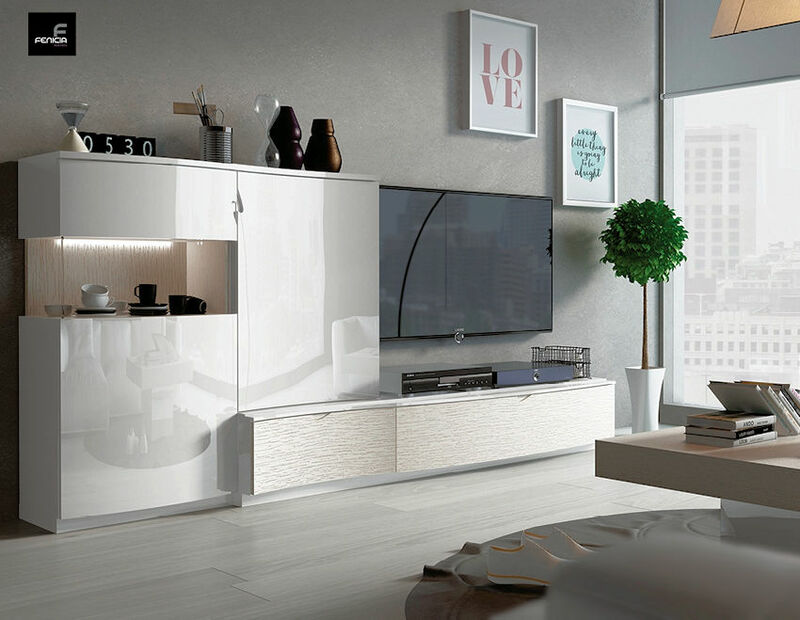 $ 3,195 - Cordoba wall unit in White high gloss and natural oak (light beige) veneer matte finish on the base. 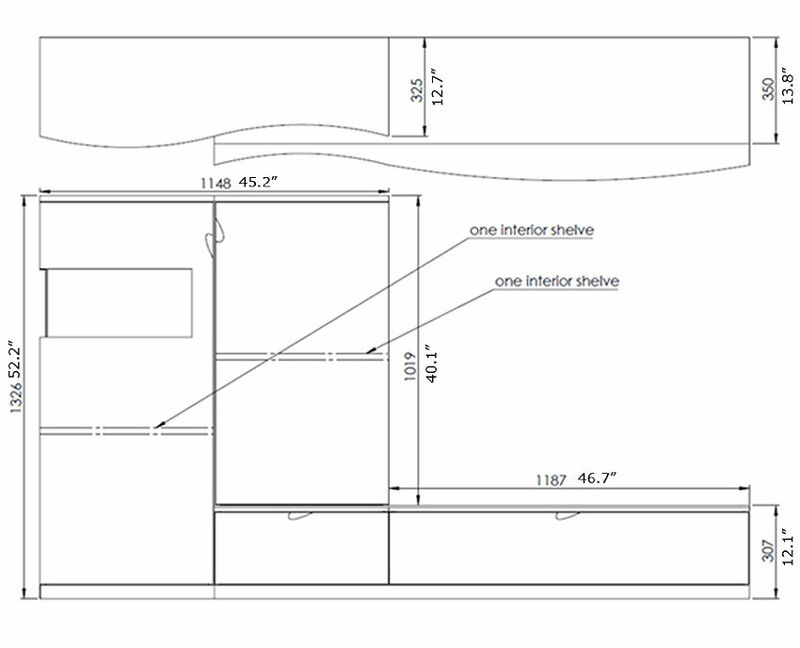 Curved design for the front of base and cabinet. Open shelf on the left with the light: glass door and glass side. 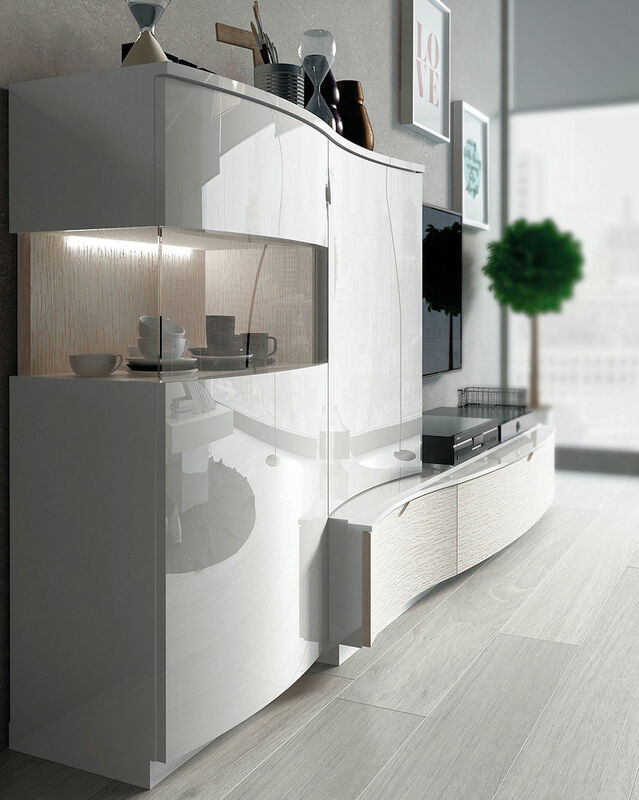 Cordoba wall unit. Dimensions are shown in millimeters and inches. Made in Spain.